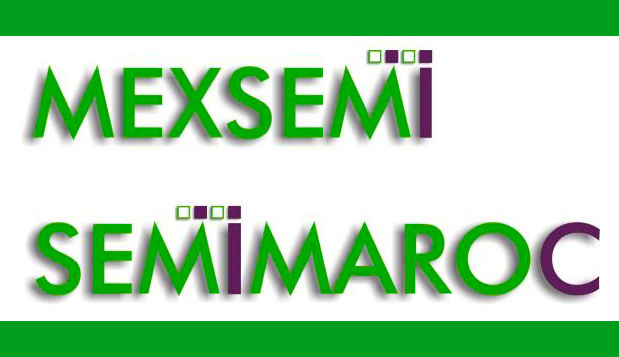 Created in 1919, SEMI is a benchmark company in the electricity and industrial sectors. Its name is a byword for tradition, experience and the future. Currently in a phase of international expansion, the company is distinguished for its ability to adapt –typical of SMEs–, its company infrastructure –characteristic of a large-sized company–, and the financial support it has as a consolidated company. SEMI, one of the main companies in the ACS Group’s Industrial Services sector, is a renowned company which boasts know-how as added value. Its close relationship with many Universities, as well as with public and private bodies when developing new technologies, has gained it support from the sector for its innovation and viability. SEMI currently has international subsidiaries which enable it to provide services at all levels. 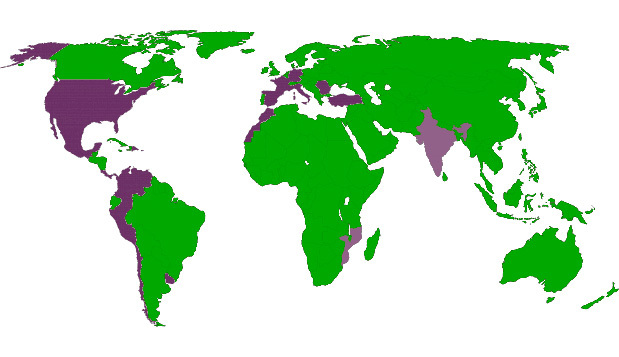 It is established in France, Italy, Romania, Morocco, Israel, India, Saudi Arabia, the USA, Venezuela, Panama, the Dominican Republic, Mexico, Chile, Peru and Uruguay. This global expansion is a direct result of the company’s internationalisation plans. ACS Group is a global player in construction activities and services. As a corporation, it participates in the development of key sectors for the economy, such as infrastructures and energy. A company fully committed to the economic and social progress of the countries in which it is present. The Group owes its long history of success to its efficient organisation and dynamic and enterprising management, implemented through consecutive mergers and acquisitions, and strategic plans committed to maximising its shareholders’ profitability. Nada es más importante que nuestros clientes. Para SEMI son únicos, por eso brindamos un trato personalizado y proponemos soluciones individuales. Hacemos nuestros sus proyectos, asumiendo, siempre, un compromiso total. Somos conscientes de que para el desarrollo continuado de un negocio competitivo es fundamental la consecución de los más altos estándares de calidad en los productos y servicios prestados. 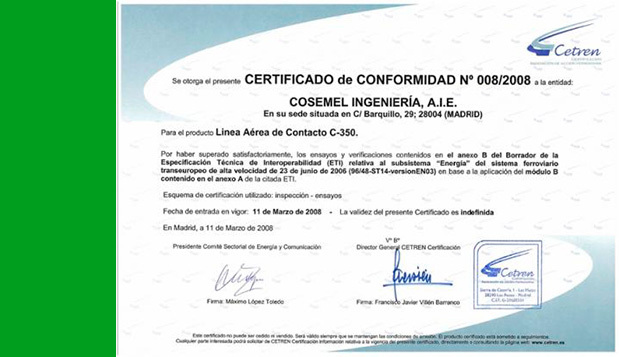 Desde 1996 mantenemos la certificación de nuestro Sistema de Gestión de Calidad (UNE-EN-ISO 9001). SEMI está comprometida con la igualdad de oportunidades entre mujeres y hombres, estableciendo y desarrollando políticas integradoras con el convencimiento de que las mismas lleven a una mayor responsabilidad social en beneficio de toda la plantilla, trasformando la empresa en una organización más igualitaria. Uno de los pilares básicos, desde el planteamiento de desafíos que mejoren nuestros productos y servicios, es la excelencia. Nos esforzamos por entender las necesidades de un mercado global y cambiante, adaptándonos a los nuevos escenarios para la consecución de nuestros objetivos y los de nuestros clientes. Garantizamos la capacitación de nuestra plantilla para que desempeñe eficazmente sus funciones. Nuestros planes de formación ponen a disposición del personal del Grupo los recursos existentes para su formación, reciclaje y mejora continua. De este modo, no sólo aseguramos la calidad de los servicios prestados, sino también el crecimiento y desarrollo profesional de nuestros trabajadores. Promovemos entornos de trabajo que alienten la creatividad, la innovación y el desarrollo. Una búsqueda constante de la eficiencia y la consecución de resultados a través de un trabajo multidisciplinar. El respeto hacia el medio ambiente comienza por el compromiso de cada individuo. Grupo SEMI ha consolidado una firme cultura ambiental compartida por todo el personal que forma parte de nuestra organización. In the modern era, the development and execution of major works require the support of companies with strong vertical integration, capable of offering all the necessary services and management support. A global proposal based on the technical concept or financial model, which follows through to the subsequent commissioning and maintenance. Due to its resources in engineering and construction, and its relationships with national and international manufacturers, SEMI is especially prepared to coordinate and execute all types of activities. This enables it to deliver complete final products to its clients, in compliance with the most stringent quality standards. This attribute has made the company into a highly specialised EPC contractor. Together with EPC projects, and as part of our vocation to serve, we also work with other types of contracts such as "turnkey projects", BOT, commissioning, etc., on both a national and international scale. Our team of people is the key to our success in all the EPC projects we have undertaken. On a technical level, we rely on a great engineering team, which has broad experience in all sectors relating to SEMI's activity. This team safeguards the proper functioning and maintenance of our facilities. On an administrative and financial level, we have the know-how when it comes to choosing potential projects in development or operation phases. SEMI maintains stable relations with international financial institutions and investment funds, allowing us to take on all types of "turnkey" projects, maximising return on assets, and minimising construction and operation costs. SEMI's direct contact with specialised manufacturers allows us to work with our own technology and on new developments. Our objective is to guarantee the greatest yield from our projects. 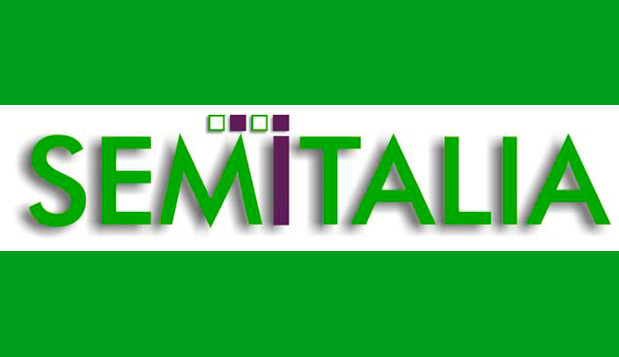 SEMI has always placed vital importance on the technical aspects of all its projects. That is why we have constantly been able to rely on a highly reliable team, capable of assimilating the experience acquired by the company during its long history, and applying it to projects and the study of new works. 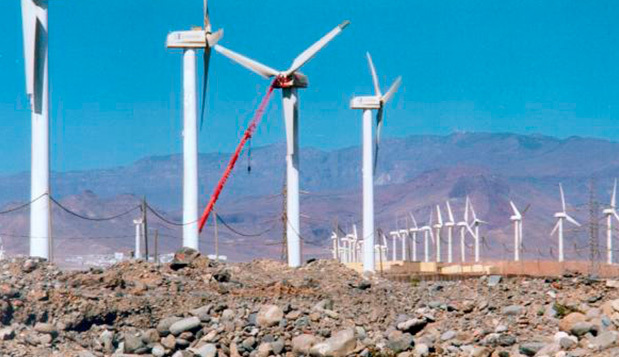 Our design and engineering activities within the field of power transmission began from day one. In this area we have achieved significant technical milestones such as the project for and construction of the first 220 and 400 kilovolt (kV) quadruple lines and the first 400 kV transformation. Engineering projects for aerial and underground electric power networks of up to 400 kV. 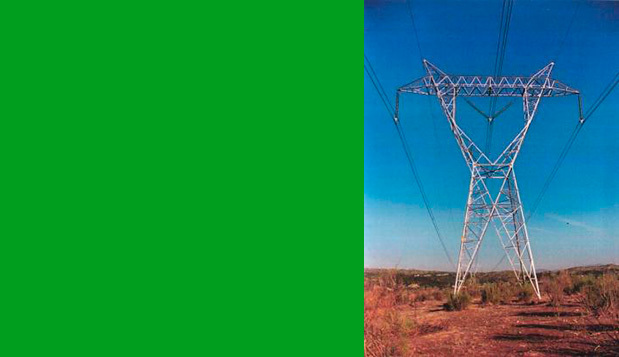 Repowering engineering projects, and increasing line capacity in existing overhead power lines. 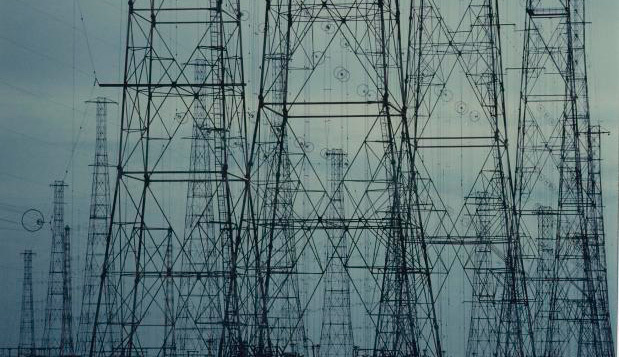 Calculating and designing electricity distribution towers and special solutions. 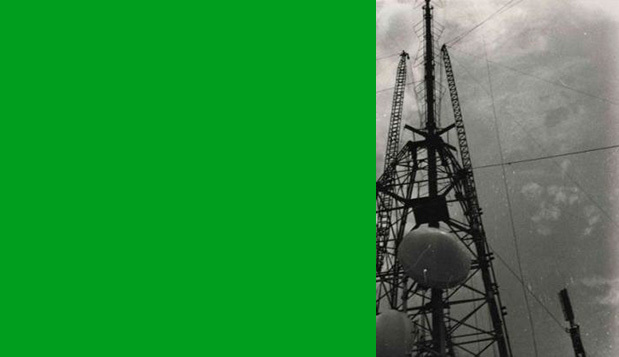 We have overseen many projects in the communications sector involving radio links, aerial and radar support towers, mobile telephone masts, and fibre optic networks. The Shortwave Broadcasting Station for Radio Nacional de España in Noblejas (Toledo, Spain) is an example of one of SEMI's most pioneering initiatives. In the railway sector, besides its participation in the first electrification project carried out in Spain (the Madrid-Ávila-Segovia line), SEMI designed the CR-200 overhead line for RENFE for 200 km/h speeds, and also contributed significantly to defining RENFE’s “Overhead line”. Furthermore, SEMI was also responsible for designing the overhead line project for the Madrid-Barcelona (AVE) line high-speed train, permitting speeds of up to 350 km/h. A technology which was adopted on a national scale by the Spanish Government. The most recent expansion of this field of business to architectural and industrial facilities works has come hand in hand with the integration of technical support for the execution of projects and study of electrical substations, civil works, and renovation involving associated electrical, energy-saving, heating and cooling, and fire protection systems. The remote control and telecontrol engineering team, which is responsible for attending to the needs of our clients in these areas, is deserving of particular mention. This highly-qualified department performs its activities within the energy sector, providing solutions that stand out for the simplicity, agility and complete reliability offered to national and international companies. The company was created with the aim of designing and building industrial facilities. During its early years, it shapes its innovative and pioneering vocation, specialising in the development and commissioning of the national power transmission network, including high-voltage electrical power lines and substations. 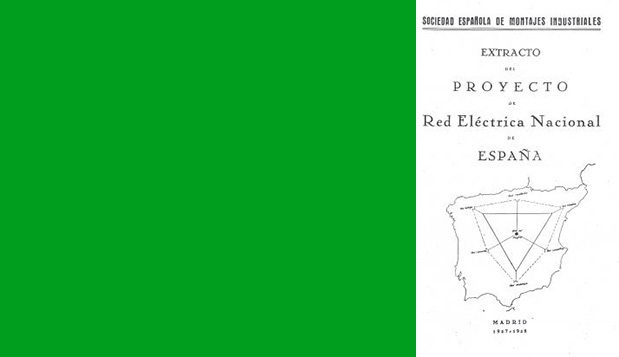 SEMI presented the “Project for the construction of a National Electricity Grid in Spain”, which involved the creation of a Body, the precursor to the current Red Eléctrica de España (REE). SEMI has been operating in the railway sector since 1929. The company started its activities with the electrification of the Madrid-Ávila-Segovia line, the first electrification activity to be carried out by a Spanish company in Spain. This project was begun for the Compañía de los Caminos de Hierro del Norte de España, which was later integrated into RENFE. 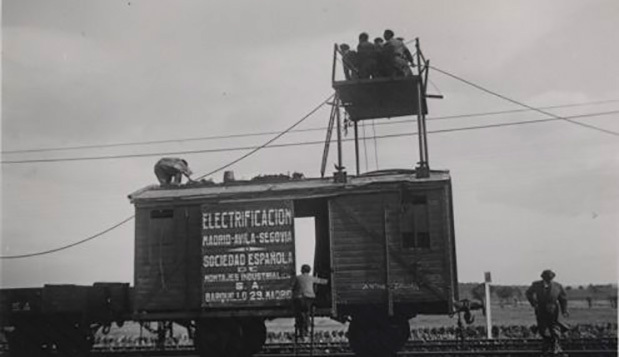 As the works were interrupted by the Spanish Civil War, the electrification could not be concluded until 1946, when RENFE had already taken over (established in 1941). SEMI: Pioneer in Spain in terms of very high-voltage power lines. SEMI designed and built the Ponferrada-Valladolid line for Endesa. It was the first 220 kV voltage line in Spain. Pioneers in the emerging telecommunications infrastructure. The desire to progress and to face new challenges helped the company establish itself in the telecommunications field. Since then, SEMI has developed a large number of activities in all operations related to the design and construction of communications infrastructures: television, radio, mobile telephone, and GSM-R repeaters; radar and maritime rescue stations; fibre optic networks, real-time data weather stations, etc. Collaboration with the National Radio Shortwave Broadcasting Station. SEMI built the aerial field for the Noblejas Shortwave Broadcasting Station, from where the Radio Nacional de España (RNE) broadcasts are to be transmitted to Eastern Europe, the Middle East, Australia, North Africa, Equatorial Africa and America. Precursors to the change of the power transmission network capacity to 400 kV. 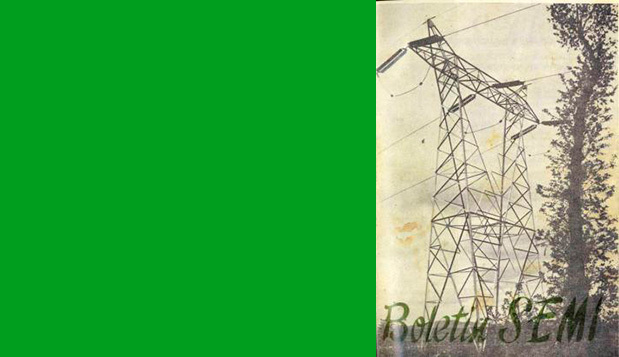 In the 70s, SEMI designed and built the first line transformation carried out in Spain for a duplex 220 kV line to a triplex 400 kV line, Madrid-La Mudarra. Deployment of infrastructure for the 1982 FIFA World Cup TV rebroadcasting network. Held in Spain with “Naranjito” as mascot, the World Cup of 1982 saw the need to upgrade the infrastructures of Spanish television centres and the Spanish National Radio (RNE) stations covering the information. 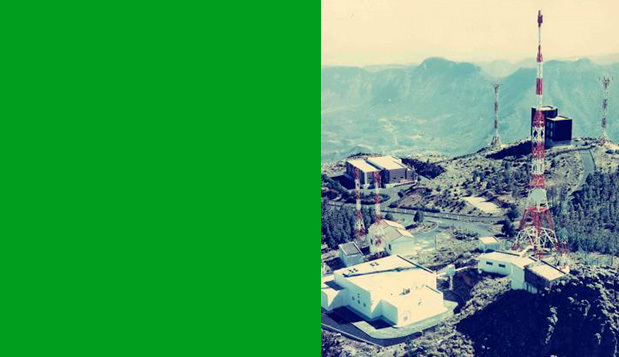 SEMI was responsible for the construction, reinforcement and expansion of many Broadcasting Stations including the Pozo de las Nieves (Las Palmas), Arguís (Huesca), El Viso (Zamora), Torrente (Valencia), and Jaizquíbel (Guipúzcoa) stations, as well as the 46m metal Tower installed on the Torrespaña (Madrid). In the 90s many telephone licences were awarded in Spain to various telecommunications operators. These awards allowed SEMI to actively participate in the deployment of new mobile and fixed networks, on both a national and international level. On the one hand, the company was the successful bidder for the construction of Base Stations for the four mobile telephone operators in Spain, as well as in Portugal, Morocco, Mexico, Central America and Venezuela. At the same time, fibre optic networks were deployed both for cable operators and for electric companies using energy transmission networks. 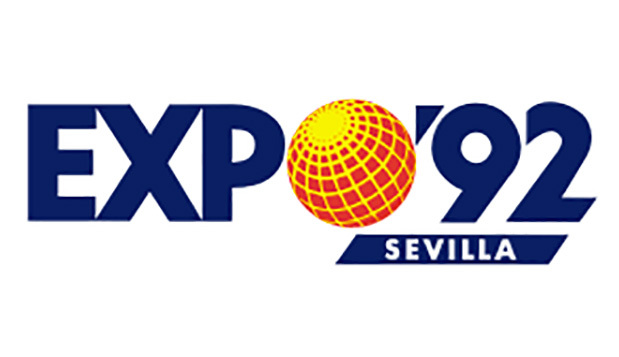 The company reached another milestone at the EXPO’92 and the Olympic Games, which represented a significant improvement for Spain’s image on an international scale. These events showed the rest of the world the technical capacity of the companies involved in the large transport and communications infrastructures built for the two events. 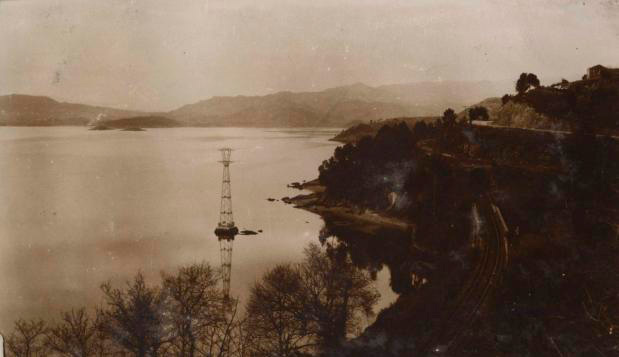 For the occasion, SEMI built the Telephone Station Tower on the island of Cartuja. It also carried out many works for communications stations at the Olympic Village, which guaranteed the coverage of both events. In addition, SEMI collaborated in the electrical infrastructure of the NAFA Project (New Railway Access to Andalusia), and in the mobile telephone coverage of the new railway track layout, over which the Madrid-Seville AVE runs. In partnership with the Japanese company NEC Corporation, SEMI installed the aerials for the Telefónica Satellite Communications Stations in Armuña de Tajuña (Guadalajara) and Agüimes (Canary Islands). Beginning of construction activities and turnkey projects for renewable energy generation. Anticipating the present challenge posed by renewable energies, SEMI has been executing “turnkey projects” relating to wind power, photovoltaic energy and thermal solar power for many years. This is a reflection of the company’s commitment to renewable sources and the environment. Design and construction of 350km/h railway overhead line. 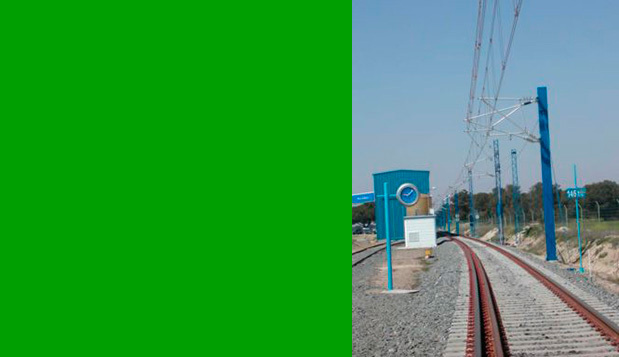 The company took a step forward with the design of the EAC-350 overhead line. The project was funded by the MINER and the CDTI and was completed in partnership with the Pontificia de Comillas University, and the Mining Engineering School of the UPM. This research resulted in the prototype of the overhead line for alternating current and a 350 km/h speed, known as the C-350, which was later accepted and installed on three kilometres of the Madrid-Seville AVE line in order to undergo real tests. On 15th December 1998, tests were carried out with AVE trains, and they successfully reached and exceeded the speed for which the new overhead line had been designed. The same year saw the design and construction of the 350 km/h railway overhead line. Storm and solidarity with France. 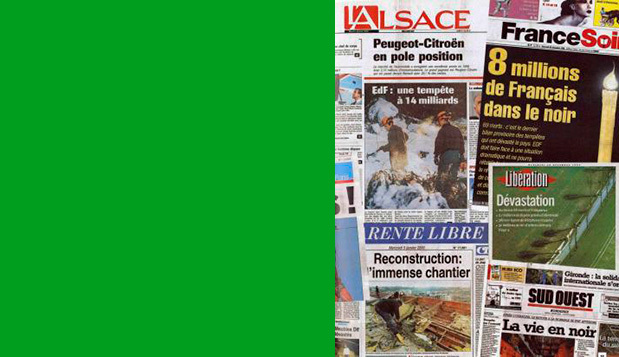 The company started construction and reconstruction works for EDF in France, after the storms which had occurred in December 1999. After a request for international collaboration was issued by EDF, SEMI cooperated by sending staff specialised in high- and very high- voltage works to quickly re-establish the service and reconstruct the French electricity grid. Years later, SEMI was certified by SDF and permanently established itself in France through the creation of its subsidiary, SEMI France. SEMI, a company with international commitment. In 2002, the company started implementing its international expansion plan. After executing several projects in different countries, SEMI decided to finally establish itself in Morocco, Mexico and Costa Rica. Development of new railway electrification systems. 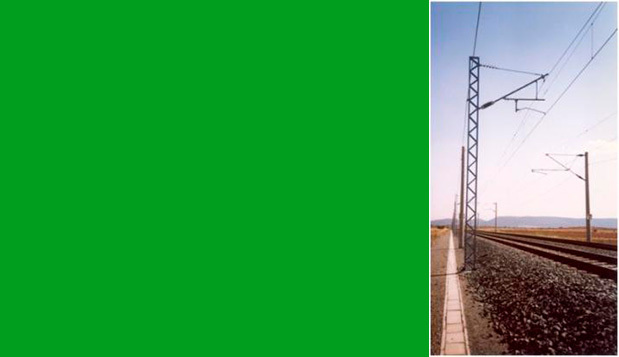 In 2003, the Railway Infrastructure Manager (GIF) awarded SEMI the “Project, installation and maintenance of the Overhead Contact Line (GIF Polyvalent Overhead line, called Dual Current CPG) on the test stretch of the three-rail track between Olmedo and Medina del Campo”. This was the first project in which hybrid technologies were applied to satisfy the need for mixed passenger and freight corridors. The corridors were also susceptible to being operated in 3 kV DC and 25 kV AC, as the goal was for them to be certified for all types of European operators. SEMI’s engineering proposal to solve this problem was the design chosen for the implementation of mixed-traffic lines on the Spanish network. In 2004, SEMI France became a reality. 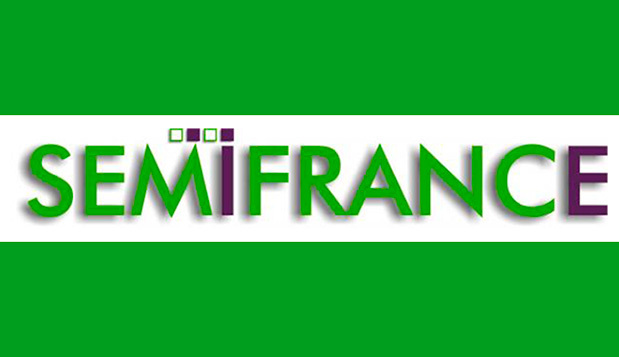 It was formed as an independent company with great potential, and as a point of support for expansion throughout Europe. Exporting technology for rail transport. The high-speed system developed by SEMI, with a European interoperability certificate since 2008, became state-of-the-art technology and engineering, suitable to be implemented and exported internationally for similar projects. 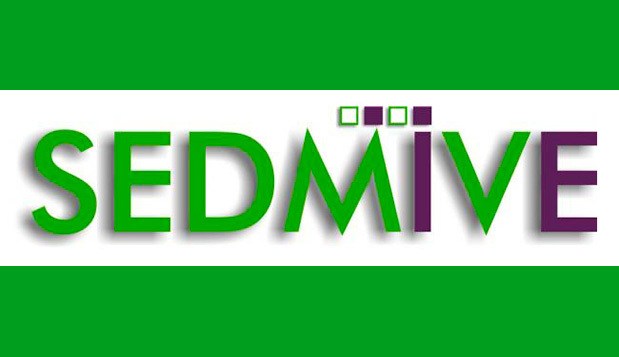 Popularly known as “SEMI Venezuela”, in 2009 SEMI expanded its activities through SEDMIVE. SEMI Italia and SEMI Panama were created. In line with the international strategic plan, SEMI established itself in Italy and Panama through two new companies: SEMI Italia and SEMI Panam'á. In 2011, the company expanded internationally and SEMI established itself in Germany, Bulgaria, Poland and the Dominican Republic.